City Hall is one of the few places I really like to use wide angle lenses. The desire to show off the architecture is the primary reason for this. When photographing a larger weekend wedding, the focus is more on getting close-up shots of the bride and groom. 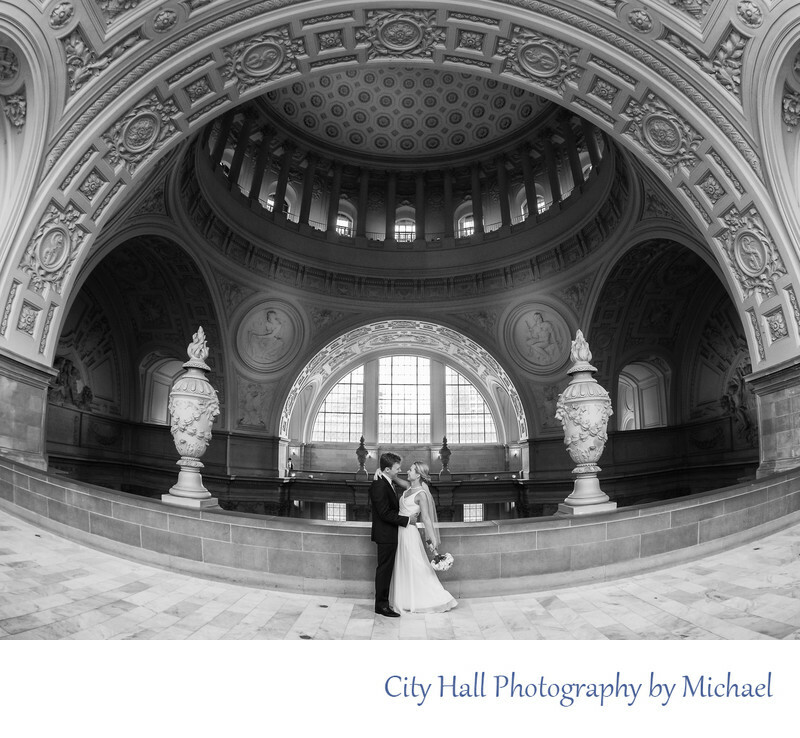 But at San Francisco city hall it's different, people come her to get married because the building is so beautiful. You are doing them a disservice if you don't make sure they get at least some nice shots showing the architecture of this amazing wedding venue. In the image above, we actually went a little beyond wide angle, we used what is known as a Fish-eye lens. These types of lenses usually give you close to 180 degrees of image with some distortion. We also decided to photograph this image in Black and White to add some more interest.